Contrary to popular opinion, the U.S. electronics industry is not exporting broken or obsolete electronics products on a large scale, according to a study prepared by the U.S. International Trade Commission. The study, available here found that about 17% percent of used electronic products are being exported from the U.S., a direct rebuttal of the widely-quoted myth that 80 percent of electronics collected for recycling in the U.S. are dumped overseas. Andrea Boren of the U.S. ITC discussed the government’s findings at ISRI’s Convention and Expo April 11. “The reports that you’ve heard over the past few years citing 80 percent of electronics are exported and dumped into developing countries has no relationship to the facts that are in this report,” said John Powers of ISRI. The report values the entire U.S. electronics recycling market at $20.65 billion. Of the 17 percent percent of electronics exported by American companies, “Whole equipment for reuse accounted for the largest share of U.S. exports by value in 2011, and tested and working products represented the majority of U.S. exports of whole (Used Electronic Products),” according to the report. Boren responded to criticism that the government agency may have been misled or the material under reported, saying the agency is confident the report prepared at the federal government’s request is the best information available. “We were aware of the challenges (in preparing the study) from the onset, and the ITC has expertise in conducting these surveys of industry and we did not see any anomalies in our results,” Boren said. ISRI’s Electronics Division, which met before the start of the convention, welcomed rhe findings of the report. For ISRI’s summary of the report, click here. Following is an outline of the program. Course Description: This short course is designed for those getting involved or interested in electronics recycling. It is intended to provide an overview of the industry and key factors that affect it – including materials processing, reuse, and responsible recycling practices. Course Description: This short course is designed for those interested in certification but who have not yet gone through the process. It will include tutorials on the R2 and RIOS standards – including pending changes – as well as how to prepare for certification. And it will provide perspectives on the importance and value of certification from OEMs, Recyclers and Refurbishers. Session Description: This initial session of the electronics recycling track for the ISRI Convention program includes an overview of the ISRI Electronics Division and the program track – as well as 2 special presentations on the “Electronics Recycling Market Outlook” – including “Precious Metals” and the first release of the results of the USITC study on “Exports”. Session Description: This year’s Spotlight on Electronics is a special panel of venture capitalists on “Venture Capital Perspectives on the Electronics Recycling Industry” – with a focus on industry M&A and consolidation activities, considerations and outlook. It addresses the question – why invest in the electronics recycling industry? Session Description: There are a number of materials in electronics equipment that present problems and challenges for a recycler – because of the potential hazards, regulations and costs involved. This session will address the proper handling and processing alternatives available for CRT glass, batteries and mercury-containing devices. Session Description: The U.S.-Global Summit on Electronics Recycling is comprised of a panel of international experts who will provide perspectives, updates and outlooks on electronics recycling regulations and programs in their countries – including Brazil, India and China. Session Description: This session will introduce new processing technologies, methodologies and best practices in electronics recycling – including hydrometallurgical precious metals refining, optimizing reuse and plastics recycling. The Institute of Scrap Recycling industry’s 2013 Convention and Expo, to be held April 10-13 in Orlando, Fla., is just two short months away. Registration is now open for the event, which includes a number of educational and networking opportunities for recyclers. Each year, the electronics recycling programs become stronger and offer richer opportunities for industry insiders and innovators to share ideas and solve problems to strengthen their electronics recycling businesses. “The ISRI expo and conference brings together the leaders of the electronics recycling industry from all across the globe and is a must-attend event for anyone involved in the industry,” Eric Harris, Associate Counsel and Director of Government and International Affairs for ISRI, said. Last year’s agenda involved real-world discussions of current topics in the industry, including discussions on CRT management, panel discussions on international trade in electronics recycling, workshops introducing non-certified recyclers to the R2/ RIOS™ certification program and discussions on why obtaining the certifications are vital to the industry. While the full schedule has yet to be released, here are some of the confirmed events on the schedule at the April event. 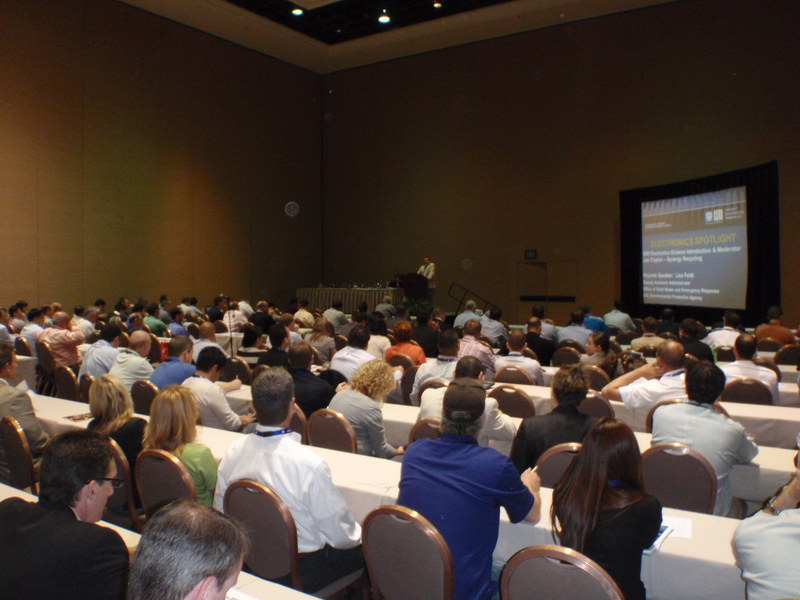 Session Description: This initial session of the electronics recycling track for the ISRI Convention program includes an overview of the ISRI Electronics Division and the program track – as well as two special presentations on the “Electronics Recycling Market Outlook”. Session Description: The U.S.-Global Summit on Electronics Recycling is comprised of a panel of international experts who will provide perspectives, updates and outlooks on electronics recycling regulations and programs in their countries. A little more than a month remains before E-Scrap Conference takes place, an annual gathering in the U.S. solely focused on electronics recycling. The conference is organized by Resource Recycling Inc., publisher of E-Scrap News and Resource Recycling. This year’s event takes place Sept. 19 and 20 in Dallas. Each year, a program of education and discussion of issues impacting the industry is organized. 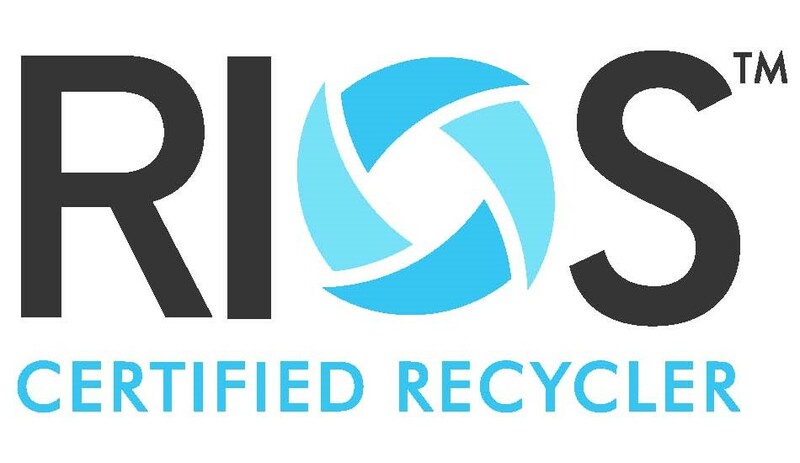 While the Institute of Scrap Recycling Industries has held an annual workshop on RIOS™ and R2 certifications before the conference opens for several years, this year an ISRI-sponsored program is being featured in the agenda. ISRI is also a platinum-level sponsor of the event. The plenary session, set for 8:30 a.m. Sept. 20, will be moderated by ISRI’s Joe Pickard and will focus on recycling markets for the metals found in electronics, such as gold, silver, copper and ferrous scrap. Speakers include William Adams, FastMarkets; Jeffrey Christian, CPM Group; and Spencer Johnson, INTL FCStone. ISRI and R2 Solutions are sponsoring two educational workshops before the conference opens: “The Basics of R2:2008 & R2:2013” and “Due Diligence & Refurbishment Best Practices.” Session speakers include: John Lingelbach of R2 Solutions; Kelley Keogh of Greeneye Partners; Corey Dehmey of Momentum; Rike Sandlin of HiTech Assets; Tracey Blaszak of eRecycling Corps; and Sarah Commes of PC Rebuilders & Recyclers. For more information on the workshops, click here. The program is full of valuable information, the conference organizer said. “We’ll also look at CRT recycling issues, provide details on electronics shredding, review the key export issues and provide information on electronics recycling Europe,” said Jerry Powell, publisher of Resource Recycling. Other topics on the agenda include examinations of voluntary and regulatory consumer take-back programs, efforts to increase electronics recycling and methods of maximizing electronics recycling profitability. In addition to the workshops and plenary sessions, the conference also features exhibits by more than 100 companies involved in electronics recycling. Response to the conference has continued to strengthen, Powell said. “We’ve sold out the exhibit hall (again) and we expect about 1,500 attendees. We already have registrants from more than 30 countries,” he said. Registration for E-Scrap Conference is available online here. For more information, visit http://www.e-scrapconference.com/. ISRI is hosting an invitation-only reception on Sept. 18 before the conference begins. Sponsoring recyclers are AERC Recycling Solutions, Arrow, Avnet Integrated, Green Recycling Management LLC, HiTech Assets Inc., Regency Technologies, Wistron and Xstrata. Is there a way for the EPA to get regulatory compliance on the growing used electronics issue on a long-term basis? That question was recently brought up to Lisa Feldt, Deputy Assistant Administrator EPA’s Office of Solid Waste and Emergency Response, at the Institute of Scrap Recycling Industries’ annual Convention and Expo. “We are committed in this administration and there is enough infrastructure in place that principles of the framework will last well beyond my tenure in the EPA,” Feldt said. One such push in the EPA’s proposed revision to the rule and regulations governing export of Cathode Ray Tube rule. CRTs are the large, bulky leaded glass displays used in television sets for several decades until flat-screen technologies like Plasma and LCDs made it obsolete. There’s a need for better regulation, the EPA says, to close loopholes and eliminate potential abuses of the law. Nearly 6,000 people are attending the Institute of Scrap Recycling Industries Convention and Expo this week in Las Vegas – and electronics recyclers are well represented. Companies from all over the world are coming together to learn, meet and check out new technologies and opportunities in electronics recycling. Workshops have shared information on CRT recycling, best practices and options for reuse and other examinations of current topics in the industry. “We have been asked to look at used electronic products,” says Andrea Boron of the U.S. ITC. The U.S. ITC is a bi-partisan, independent federal commission, created in the 1916, which operates in part as a think tank for Congress and the U.S. Trade Representative on trade-related issues. The major operations of the ITC include conducting anti-dumping investigations, studying performance and global competitiveness ofU.S.industries and the impact changes in trade policy might have, trade information services and trade policy support. The office plays no role in the development of trade policy and makes no recommendations on policy, only studies the impact policies have or might have for the federal government. The ITC is conducting a survey of American electronics recyclers to report back to the federal government exactly what, under the umbrella of “Used Electronic Products” is being exported by theU.S.industry. It’s a difficult nut to crack, says Boron. “This includes everything from refurbished units, like PCs or phones that have been brought back up to spec and are going to be resold or donated to charity to shredded circuit boards and everything in between,” she says. 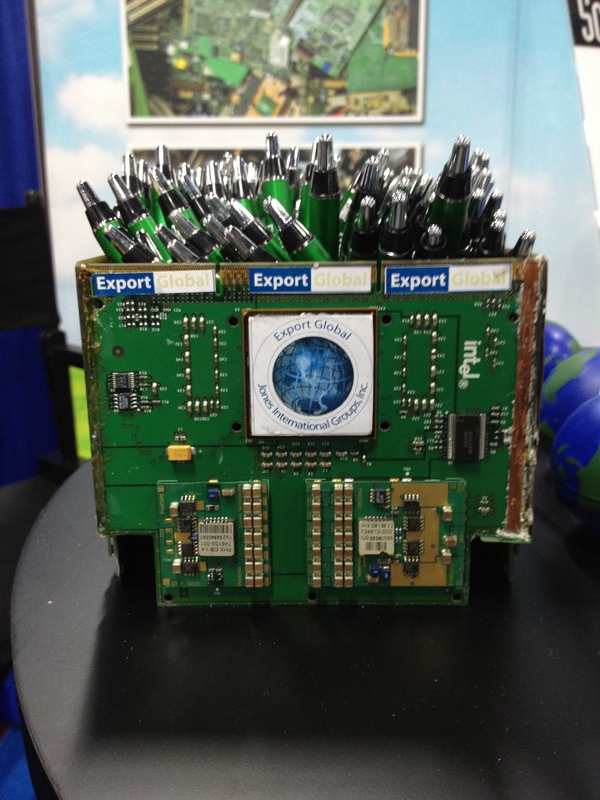 The ITC used one of the largest gatherings of electronics recyclers in theU.S.– theInstituteofScrap Recycling Industry’s annual convention and expo, taking place this week atMandalayBayinLas Vegas, as an opportunity to spread the word about the study and begin seeking sources for interviews. Responding to interview requests and taking part in public hearings is voluntary, says Bloodgood, but filling out the survey is not. The ITC will conduct random sampling of the businesses in the industry, and for those who receive the survey in the mail, “they are legally obligated to reply,” she says. To view the draft questionnaire, visit http://www.usitc.gov/332528comments. For more information on the ITC, visit www.usitc.gov/research_and_analysis/What_We_Are_Working_On.htm . The ISRI convention continues through April 19.